Don’t fall for the bait and get attached to outcomes – stay detached! Stay detached from the outcome of your efforts and you will be at peace. Detachment really means to be unmoved in any situation – success or failure, victory or defeat. Team India’s Captain Cool, M.S.Dhoni, reminded us yesterday, yet again, why he is such a rare human being, player and leader. After India’s comprehensive defeat at the hands of the Aussies in Sydney in the 2015 ICC World Cup semi-final on Thursday night, Dhoni said: “Of course we are disappointed not to be in the final, but then only one team can win. Australia played better cricket today (Thursday). The Cup did not belong to us. We took it from someone and someone else will take it from us. If we had played better cricket on this particular day, we would have won.” This is the simplest, most logical explanation anyone can give in any situation like the one India finds itself in – they played a great World Cup campaign, winning seven out of seven games until losing in the semi-final. Also, when you do badly and lose a game, there are only learnings, never justifications. And finally, staying detached – as Dhoni is and has always been – from the outcome is the best way to preserve and nurture your inner peace. Indeed, like sports, Life too is competitive. But no matter how hard you work, and how ethical you are, there will be times when you will not get what you want or perhaps even deserve. And there will be other times when you will be successful. In either situation, stay detached. Remember this: Life happens through us, never because of us. So, when we succeed at what we are trying to achieve, stay unaffected by the accolades. And when you fail at something, or rather when someone else succeeds in your place, choose again to remain unruffled. In the game of Life, someone will necessarily have to win. And it need not always have to be you! Take it easy every which way. Learn every single time. 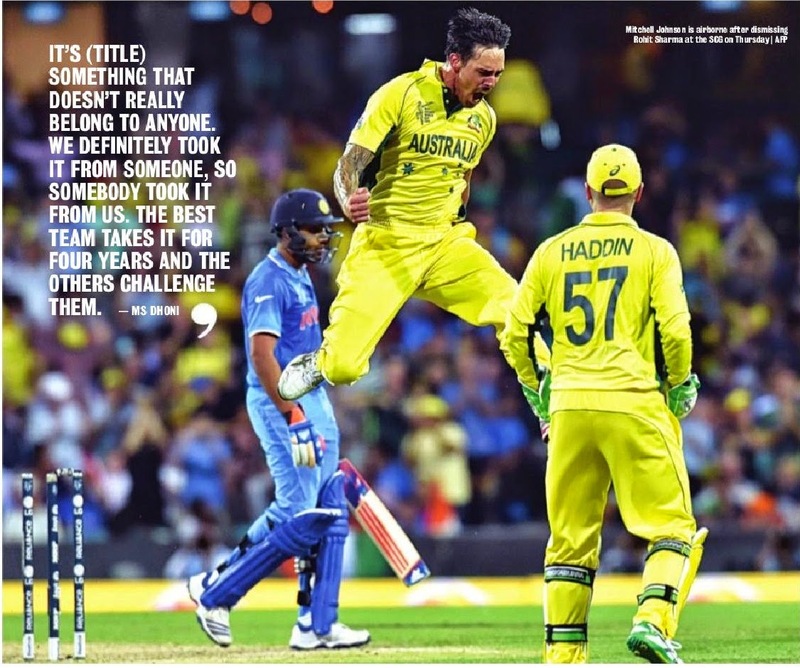 Remember this too: as Dhoni recounted and the Bhagavad Gita says, “Nothing belongs to you. And nothing will be with you forever. 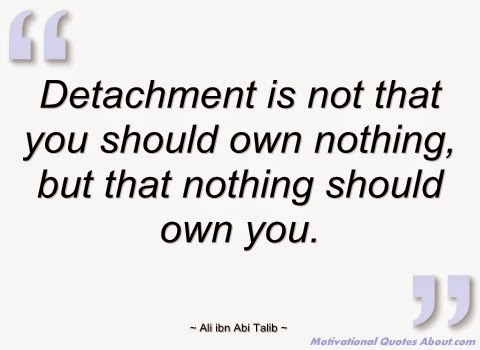 What is yours belonged to someone else yesterday and will belong to yet another tomorrow!” So, stay detached. Stay in peace. Author AVIS ViswanathanPosted on March 27, 2015 March 14, 2016 Categories Attachment, Bhagavad Gita, Defeat, Detachment, Failure, http://schemas.google.com/blogger/2008/kind#post, ICC World Cup, Inner Peace, Intelligent Living, M S Dhoni, Success, VictoryLeave a comment on Don’t fall for the bait and get attached to outcomes – stay detached! Are you in possession of something or is it in possession of you? So very often we get attached to things. Every attachment fuels a desire to control. To possess. To own. Unknown to us, we end up being possessed by it! There are people who are worried about their status and prestige in society. To them, being humble, being ordinary, being vulnerable is suffering because they are constantly worried about what others will think about them. They no longer earn their status, they are controlled by having to keep it! Some are attached to their property, their car, their phones, their desks, their cameras and sometimes, to their opinions. Even attachment to an idea can cause suffering. For instance, some have an idea that they will be happy subject to certain conditions being fulfilled. So, if those conditions are not met, they will be unhappy. This applies to habits too. Are you owning a packet of cigarettes or is it owning you__when you are in a no-smoking area and your mind is on the packet with you and on your craving to smoke, it is controlling your every thought, isn’t it? 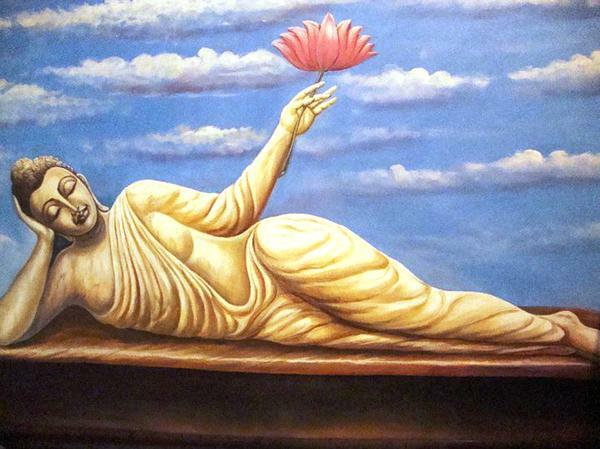 There’s a poem that describes The Buddha thus: “The Buddha is like a full moon sailing across an empty sky.” Meaning that The Buddha’s happiness was immense because he possessed nothing. When our mental landscapes are full of things that we possess__ideas, material objects, opinions, habits, worries__we are no longer in charge of our lives. When we let go of every single thing we possess__physically, literally, figuratively and metaphorically__we will be blissful. This does not mean abdication. This means remaining detached so that we too can sail with abandon in the beauty of this wondrous Universe. Author AVIS ViswanathanPosted on January 21, 2015 March 14, 2016 Categories Art of Living, Attachment, Buddha, http://schemas.google.com/blogger/2008/kind#post, Inner Peace, Intelligent Living, PossessionLeave a comment on Possessor or possessed? When something gets taken away from you, let it go. If it’s a person who chooses to leave you, let that person go too. When you let go, and don’t cling on, you will not suffer. I was neither a good giver. Nor was I able to detach myself from things and people and opinions. But, over time, I have learnt how important it is to simply let go. I have been a voracious reader all my Life. And had been collecting books. My collection spanned management-related books and those that dwelt on spirituality. I was meticulous with my collection. Each book was wrapped in plastic (to serve as enhanced protection) and neatly indexed. I had over 550 titles – a great collection of management and spirituality books built up over 20 years. Just 550 books in 20 years? – The number actually shows how discerning I am as a reader and how unique my collection was! And then, a day came when we had to close down our office. Our home did not have enough space for me to move these books to. I had to make a choice. Either I took the books with me and let them use up precious living space at home or I just gave them all away to someone (I know) who runs a training company in Bangalore. I chose to let go and give away the books. I called this person up and he readily agreed to accept all the books. He was setting up a library in his new office and this was a timely gift. All the books went into several cartons. When the consignment left my office, I felt heavy in my heart. It was as if a part of me was getting taken away. The person who received my gift of books called me a “magnanimous” giver. I am not sure I am that, but I could make out that I had learnt to be less attached with things through that action. 10 years ago, I would not have been able to do this. But now I believe I have developed a higher level of detachment from people, things and opinions. Being detached does not mean you don’t care. It doesn’t mean you must not love or desire someone or something. It means you must transcend that love, that desire – which creates your attachment. It means that you must “see” the truth about Life that no one really owns anything, no one really controls anyone. When you are attached to something or someone, you are all along fearful of losing that something or that person. Fear debilitates. Instead if you simply, deeply, loved that something or someone and accepted that while your love is pure and you enjoyed (the act of) loving, you also know that you can’t always have that someone or something. If it is a person, the person will eventually be separated from you – most certainly by death, some day. If it is a thing – like a car or a gadget or even money – know that all things, including money, are impermanent too. Things will break down and have to be discarded. Money will too someday become either inconsequential or unavailable in your Life. So, being detached, really means understanding Life for what it is. And using your understanding of Life to accept it for what it is. You suffer whenever you are attached, and often refuse to let go, of people, memories, opinions and things. 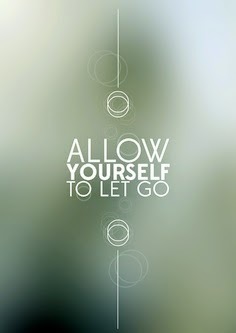 The more you let go, the more you be in a constant let go mode, the more you will be at peace with yourself. In a let go, there’s just inner peace – and no suffering ever! Sometimes, Life will take away what you love and want most – could be people or things. You will find it very, very hard to accept that you don’t have that someone or something anymore. But it is only through a loss that you learn about Life – and its transience. Everything that you are I have has been acquired during the course of this lifetime. When you were born you came with nothing. When you die you will go with nothing. Your name, your education, your titles, your fame, your money, your assets, your relationships – everything was got here, on this journey called Life. When your Life ends, you will leave behind everything. This is the way Life is. Yet, if you examine your emotions closely, you will find that all your grief and suffering comes from your attachment to all those very things and people who you will leave behind. It is at one level so evident, so basic. That all that you cling on to cannot go with you. But even then you hold on to all that gives you grief? There’s an old Persian story. A fakir who was wandering in the desert stopped by at the Amir’s inn. The fakir had nothing but a worn-out flowing garment on him held together by a rope strapped around his waist. The Amir was moved by the fakir’s plight and gave him his best velvet robe as a gift. The fakir accepted the robe, wore it and went away cheerfully. That night the fakir stopped to rest under a tree. He decided to roll up the velvet robe and used it as a pillow. But he could not catch sleep. Every time he closed his eyes, he imagined that bandits were attacking him to take away his robe. He tossed and turned and even sat up for a few hours. But his mind was full of fear of being robbed of his velvet robe. Finally, he took the robe, flung it far away into the darkness, and went to sleep. He slept for the rest of the night like a baby – soundly, peacefully! The velvet robe is but a metaphor. It symbolizes all that we are attached too. Unless we learn to detach ourselves from everything – absolutely everything, including people – we will never quite experience inner peace. I am not aware of what the patient’s actual complaint or condition is. But I found the doctor’s perspective truly awakening! 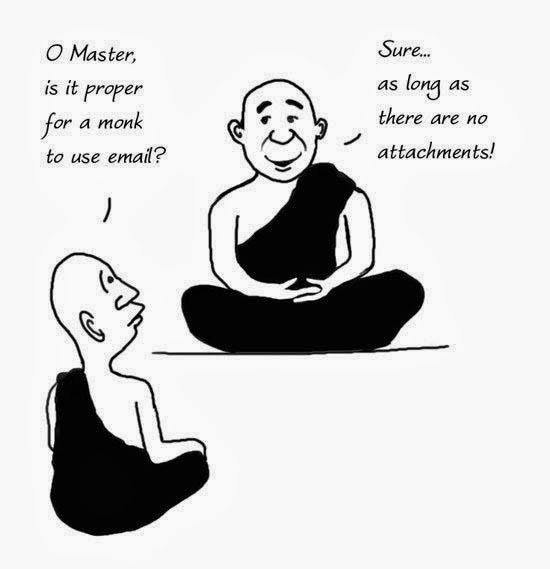 Almost all the time, our suffering comes from our attachments – to people, things, opinions, habits, events and such! Think about it. Every attachment fuels a desire to control. To possess. To own. Unknown to us, we end up being possessed by it! There are people who are worried about their status and prestige in society. To them, being humble, being ordinary, being vulnerable is suffering because they are constantly worried about what others will think about them. They no longer earn their status, they are controlled by having to keep it! Some are attached to their property, their car, their phones, their desks, their cameras and sometimes, to their opinions. Even attachment to an idea can cause suffering. For instance, some have an idea that they will be happy subject to certain conditions being fulfilled. So, if those conditions are not met, they will be unhappy. This applies to habits too. Are you owning a packet of cigarettes or is it owning you__when you are in a no-smoking area and your mind is on the packet with you and on your craving to smoke, it is controlling your every thought, isn’t it? There’s a poem that describes The Buddha thus: “The Buddha is like a full moon sailing across an empty sky.” Meaning that The Buddha’s happiness was immense because he possessed nothing. When our mental landscapes are full of things that we possess__ideas, material objects, opinions, habits, worries__we are no longer in charge of our lives. When we let go of every single thing we possess__physically, literally, figuratively and metaphorically__we will be bliss. This does not mean abdication. This means remaining detached so that we too can sail freely in this big, beautiful, bountiful Universe. Be cool, bliss will follow! Be cool. And you will be in bliss! Sometimes you have no choice but to accept the Life given to you. You have tried everything humanly possible to fix your situation. To solve your problem. But the problem refuses to let go of you. 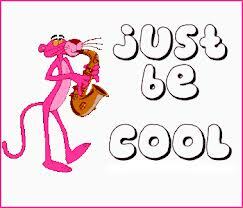 Be cool in such times! Be in bliss. How can you be cool when someone you love is dying? How can you be cool when your teenaged child is insistent on being in a relationship that you know is ruinous? How can you be cool when your companion is cheating on you? How can you be cool when the world, perhaps your world, is inching towards an apocalypse? How can you be cool when there is so much injustice around you, when people are being selfish, cold and cruel? Good questions. But think about it. Sometimes, you don’t have a choice! You simply will have to accept the reality of what is, take a deep breath and attempt a new solution if you can think of one, or simply wait for time to turn. Which is, wait for your time to change! Intelligent living is never about applying YOUR intelligence to Life. It is about being intelligent in letting Life be. There is an ancient Zen saying: “Even in a fire the man who has attained satori remains cool.” ‘satori’means enlightenment. And this doesn’t mean wearing an ochre robe and growing a flowing beard or shaving your head of. It means being aware of the intrinsic nature of Life! Indeed. Why grieve, why attach yourself to, over anything that’s not going with you in any case? So, be cool about anything that may happen to you. And surely you will be in bliss! Author AVIS ViswanathanPosted on February 9, 2013 March 14, 2016 Categories Art of Living, Attachment, Be Cool, Bliss, Cheating, Cold, Crisis, Cruel, Death, http://schemas.google.com/blogger/2008/kind#post, Intelligent Living, King Janaka, Sage, SelfishLeave a comment on Be cool, bliss will follow!